“This is the time to cut the excuses and start doing your homework. Considering that only 25% of those who join a club will actually use it, it’s important to do your research and not just join for the sake of joining,” says Dr. Walter R. Thompson, PhD, Professor at Georgia State University and spokesperson for the American College of Sports Medicine. 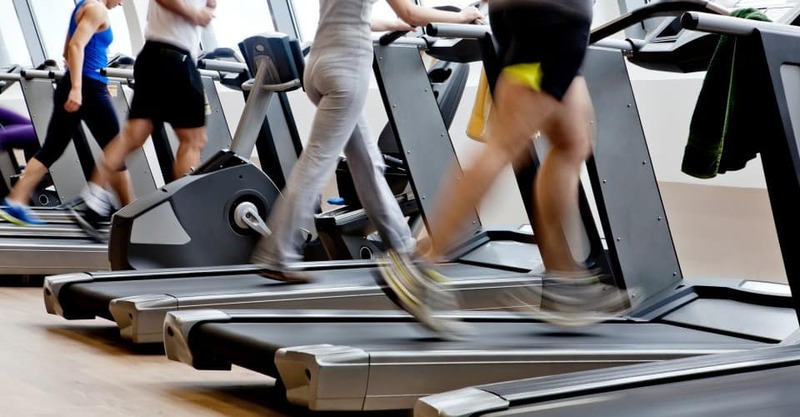 Location, Location, Location: Given that you will probably be looking for every excuse in the book to avoid working out, make sure you find a #gym that is convenient to your home or office. But this shouldn’t be your sole deciding factor — just because it’s close doesn’t make it the right club for you. The Members Matter: Check out who belongs to the club. You don’t want to join a gym overrun with body builders if that would intimidate (or distract) you. It also helps to have members who you would want as friends. “Research has shown that most types of socialization increase happiness, which can result in the positive development of habit. If you’re getting an effective workout and having a good time with your friends, that’s a win-win situation,” says Dr. Alan Manevitz, M.D., Clinical Psychiatrist and Professor of Psychiatry at New York Weill Cornell Medical Center. The Staff: “Look to see if the club brags about its staff — do they have a ‘wall of fame’ that lists the education and training of the people who are working on premises?,” suggests #exercise physiologist Tracy York, author of ‘Health #Fitness Management’ and manager of the Lake Austin Spa Resort. “Trainers and group fitness instructors should be certified with one of the following: National Academy of Sports Medicine (www.nasm.org), American College of Sports Medicine (www.acsm.org), or American Council on Exercise (www.acefitness.org).” Personal trainers/fitness specialists should also have an educational background in exercise science, kinesiology, cardiac rehabilitation, biomechanics or adult physical education. Class Doesn’t Always Matter: If you’re interested in taking classes, look into the variety of programs offered and ask if they’re included in the club’s monthly membership dues. But remember &mdah; it’s not just the number of classes offered or who teaches them that matters. For instance, if you like yoga and the only yoga class is in the afternoon, and you work in the afternoon, then that club doesn’t work for you. Try It Out: Be wary of a club that doesn’t give you a free trial membership. It helps to see if the facility will coincide with your individual needs. Most of the major chains offer some type of trial: Bally’s and Gold’s have a two-week free trial, and 24 Hour Fitness offers 10 days. Pay Attention: During your trial membership, pay attention to the details. How clean is the facility? Is the music too loud? Is most of the equipment in working order? Are new members offered a club orientation and instruction on how to use equipment? Is there a fitness and health assessment? Make sure the club is a place where you would enjoy spending time. Is childcare available if you need it, and does it cost extra? How crowded is the club during peak hours? “Clubs rely on the fact that only 10% of their members will use the facility at one time — and given Murphy’s Law, that entire 10% is likely to be there when you’re there,” warns York. Do a Background Check: Before you join, talk to current members about their experience with the club. Additionally, the Better Business Bureau and/or the State Attorney General’s office can tell you if any complaints have been registered against the facility. Review the Contract: Be careful what you sign — ask plenty of questions and don’t let anyone tell you, “it’s a standard contract — don’t worry.” Find out exactly what the membership fee is and what it includes. What happens if you want to cancel? What about if you move away? Is there an initiation fee? Many clubs have a variety of payment options, so find a payment schedule that meets your budget needs, and be wary of any sign-up specials that require payment up front. Dr. Thompson also recommends avoiding automatic bank withdrawals because they “are hard to stop once they get started.” Finally, if you are joining a new club that hasn’t opened yet, make sure that any deposits or payments you make are held in an escrow account until they officially open. According to Howland, many clubs are bound by state law to protect members from fraud.